Atlanta’s top bar talent anywhere you need it. We pride ourselves on creating original and delectable drinks backed by impeccable service to keep your event running smoothly and stress-free. Not only will your guests be impressed by the quality of service and product at your event, the entire process from set up to break down is taken care of with professionalism and attention to detail. 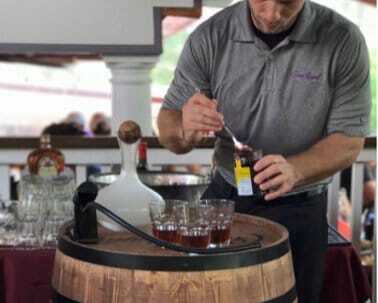 Our professional and qualified staff has experience in every aspect of event bartending from small office gatherings to large scale weddings and corporate events. We handle every size and style of corporate event and have the ability to customize all the details. Personalize your bar with company logos and colors and work with our bar team to design the perfect menu. 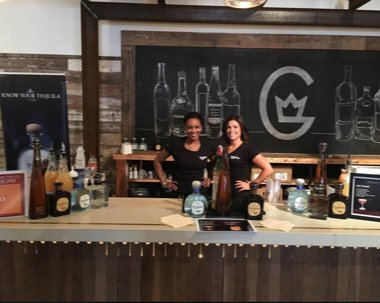 Launch your product or support your event with customizable drinks, rates and giveaways, satellite bars, and professional staff to back it all up. We don’t just handle the drinks, we keep the party flowing. For many, a wedding is the biggest party you’ll ever throw. We’ll make sure the bar looks perfect and your guest’s glasses stay filled. Choose from our wide range of bars and decor to match your big day. Our bar offerings cover everything from rustic beer taps to sleek modern bar tops. Choose the ideal look for your event and add on every detail you can imagine. We’ll set it all up and break it down for you. “ "RTB has helped us with two amazing events. 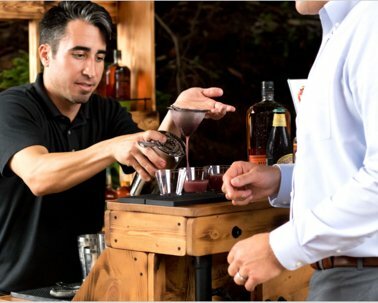 Everything about working with them is great- options and flexibility, online quotes/approvals/invoicing and knowledgeable and friendly bartenders. Looking forward to working with Amy and Matt again." “Working with Matt was super easy! He made me feel comfortable and confident about my decision to chose Raising the Bar for one of our biggest events of the year. This was a huge step up from other vendors we've worked with in the past and going into I wasn't so sure, but coming out I'm beyond blown away by their hard work and dedication to their clients.